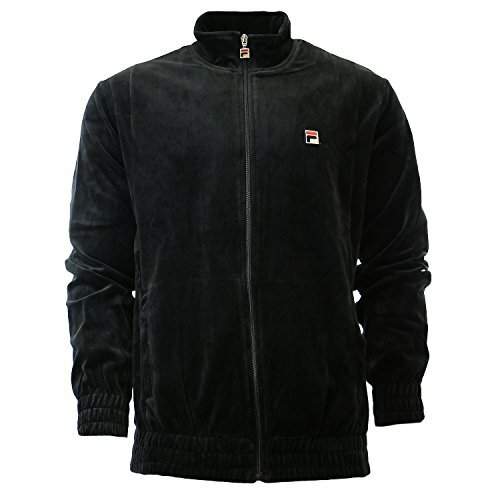 Stay cozy in style in the men's Fila Velour Jacket. This zip-up top is constructed of super-soft 80% cotton, 20% polyester fabrication. Solid color drapes the entire garment for high-end style. Machine washable. Fila is an authentic sports brand, committed to creating and marketing apparel that enhance the individual's pursuit of sports as a way to experience greater personal fulfillment. Material: Cotton, Polyester.